The Difference Between Your and You're - Create! Teach! Inspire! You learned in elementary school that homonyms are words that sound alike but have different meanings. Homophones are a type of homonym. They’re words that sound alike but have different meanings and different spellings. When you use these words incorrectly, it completely changes the meaning of the sentence, drives readers crazy and reflects poorly on you. I’m going to give you some tips so you’ll never mix these words up again. YOUR is a possessive adjective. It usually comes before a noun or pronoun, showing that the noun or pronoun either belongs to you or is related to you. Your mother’s cupcakes were delicious. YOU’RE is a contraction of you are. If you can’t replace it with you are and have your sentence make sense, it’s wrong. Unlike so many other grammar rules, there are absolutely no exceptions to this one. 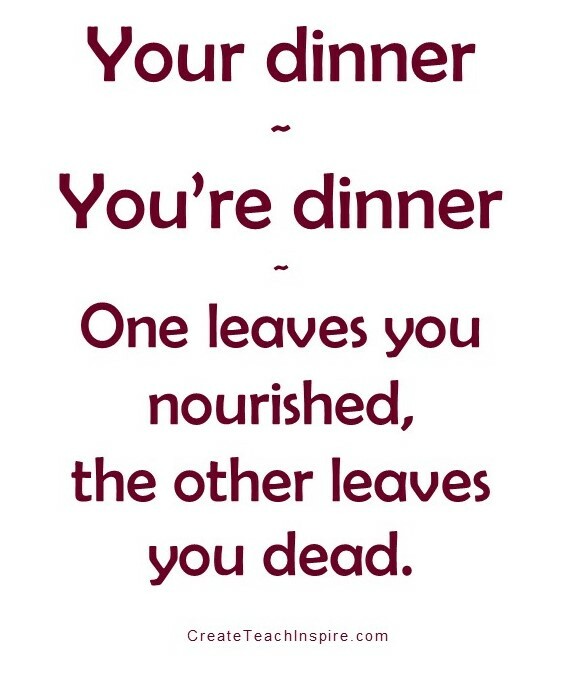 One leaves you nourished, the other leaves you dead. I’m sure you’ve seen others and I invite you to share them in the comments below. The point is, it’s easy to get this one right.